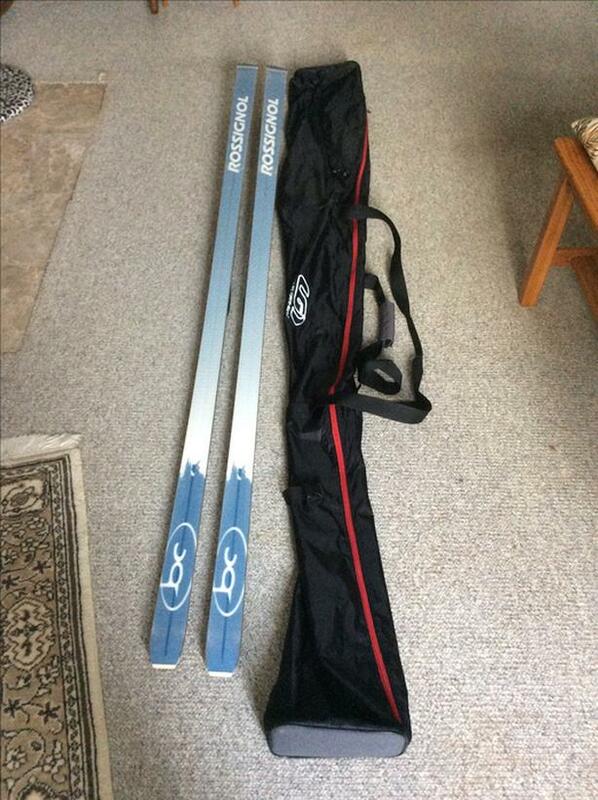 Rossignol Backcountry 65 skiis, 195 cm. Almost new. Waxless positrack base, great grip on groomed trails, full length metal edges, lightweight, turns in deep snow and excellent for off trail exploring. 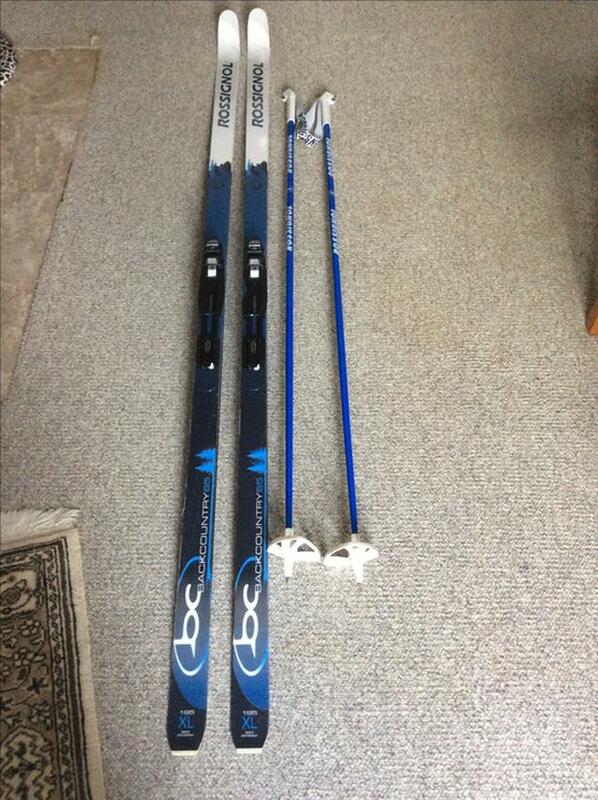 Perfect for advanced beginner to intermediate skiers. 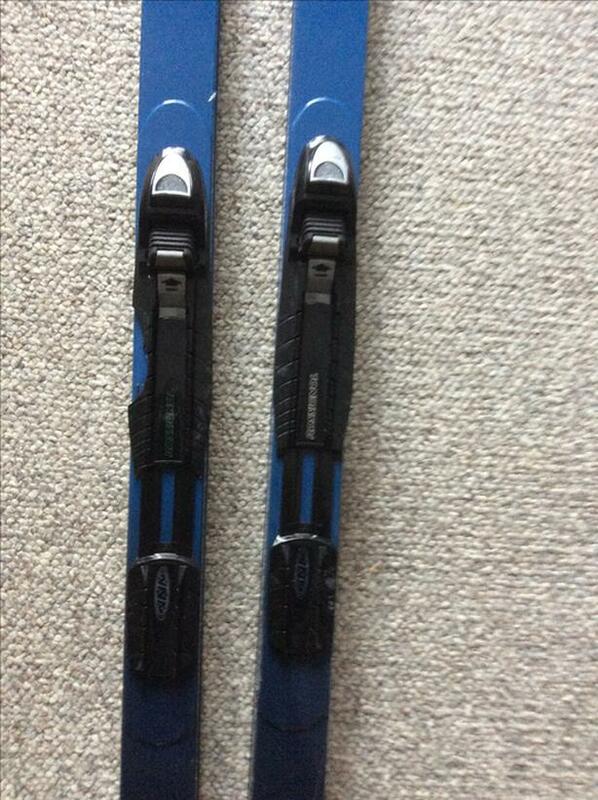 Rossignol NNN binding. 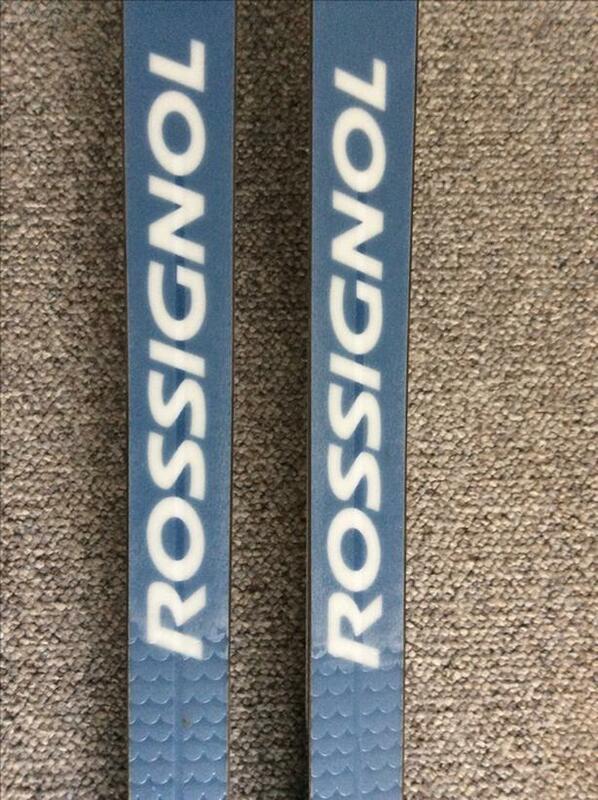 Rossignol xctry poles made in Italy. Louis Garneau ski bag, padded ends, padded carry handles, strong nylon. Value new would be $400.